Ilustrations: Valle Camacho Matute and Marcos Bustillo Ramírez. 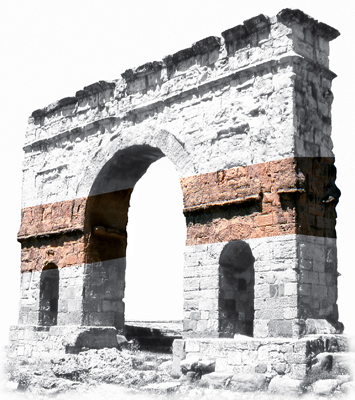 A visual book of large dimensions, it's created for enjoying the Roman monuments of the village of Medinaceli. With this book we hope to provide children and adults with the latest archeological research on the arch of Medinaceli and the mosaics. We have made an effort to create an educational approach and let people know about the process of reconstruction of the inscriptions carried out in 2002 by professors Juan Manuel Abascal (University of Alicante) and Geza Alföldy (University of Heidelberg). 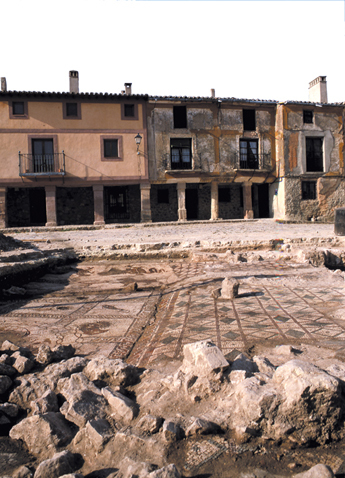 With a generous selection of photographs, the three Roman mosaics discovered in Medinaceli are detailed as well as the construction of the mosaics during the Roman era. And, for the first time, a magnificent photograph of the mosaic in the Plaza of San Pedro filled with earth is published, a hitherto unpublished photograph that is currently protected. Learning about the arch and Roman mosaics. 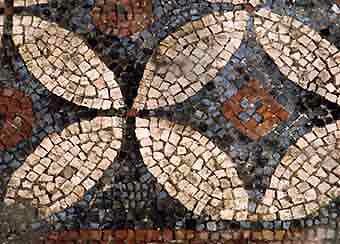 Discovering the trade of constructing mosaics. Learning about calligraphy and Roman inscriptions.